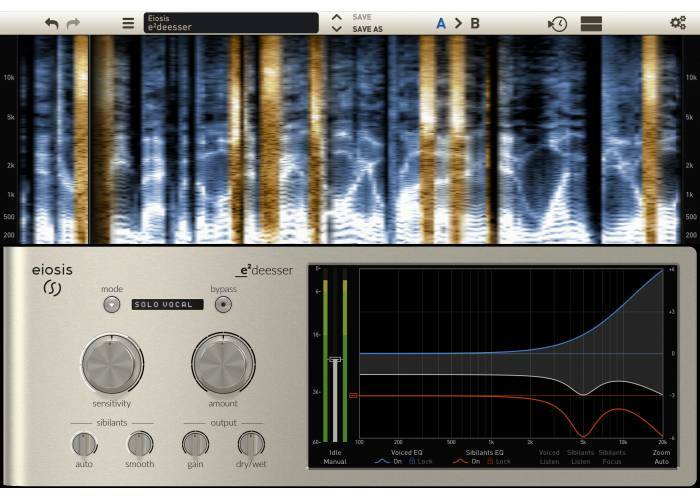 We designed the e2deesser to be extremely easy to use for musicians and audio enthusiasts, along with the versatility, power and reliability required by the most demanding mixing and post production engineers. 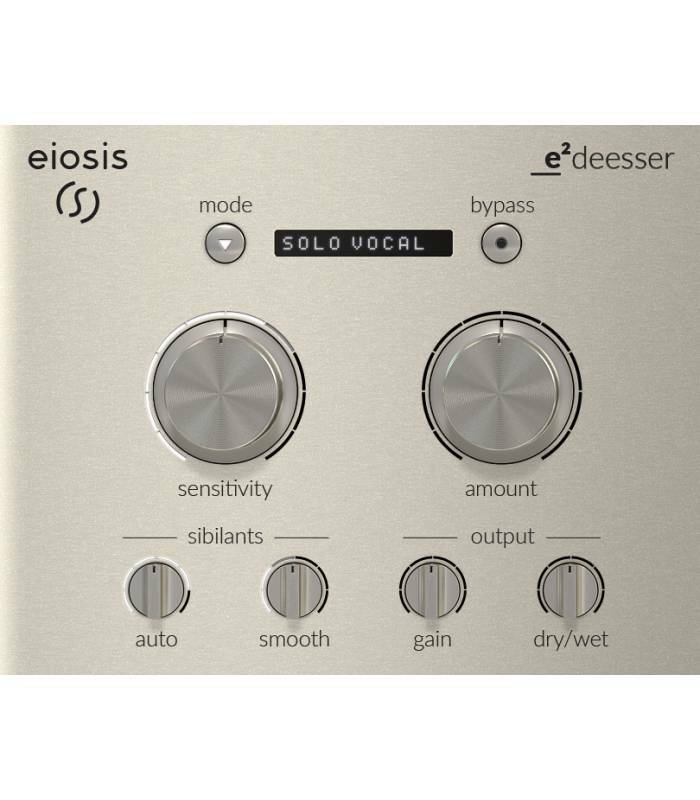 The e2deesser is very simple to use with its two main parameters, Sensitivity and Amount, and by adding great sounding, unique and innovative fine adjustments, by giving access to precise sound sculpting options, we combined the best visual feedback with the most advanced audio processing in one beautiful interface. The e2deesser meets all the demands of the simplest to the most advanced de-essing tasks: it is your ultimate de-essing tool. 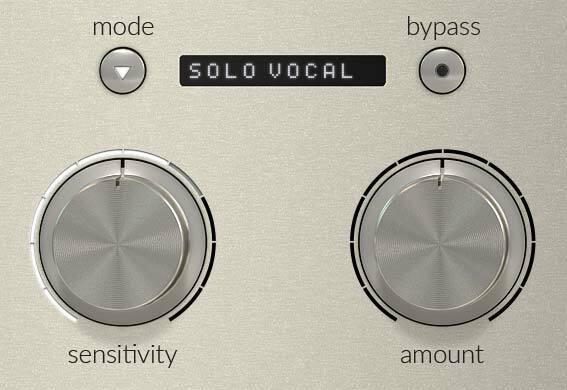 If you only have 10 seconds, you can use the e2deesser by simply using one of the presets and the Sensitivity and Amount knobs. Adjust the Sensitivity to detect more or less sibilants, and then set how much sibilance should be reduced with the Amount. It’s that easy! De-essing has never been so simple and fast. There is no detection frequency to fine tune, no option to chose from or no lookahead to adjust. 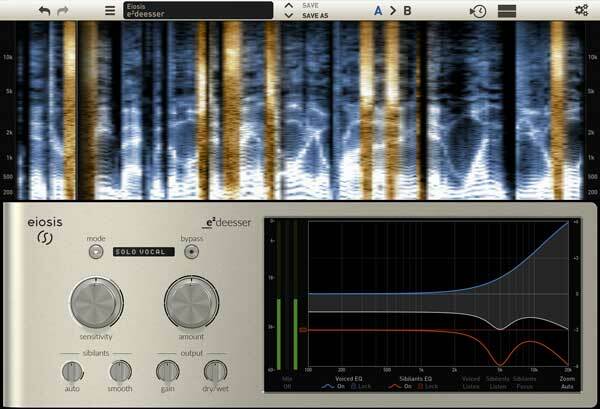 The e2deesser has already been set with the best detection parameters with presets designed to suit any vocal track. The detection and controls are level-independent, so you don’t have to worry about re-adjusting your settings if your input level changes! 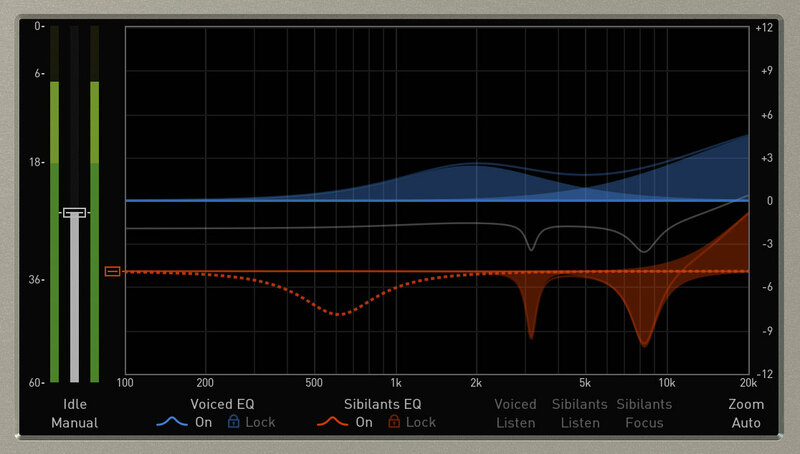 If you have another 10 seconds to adjust your de-essing sound, you can use the Sibilants Fine controls. They give you access to great sounding, easy-to-adjust and unprecedented sonic options. 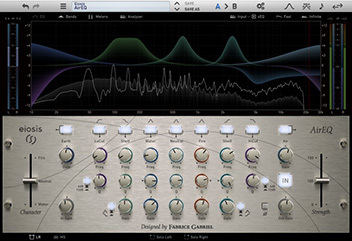 Auto dynamically adjusts the frequency response of the sibilants. 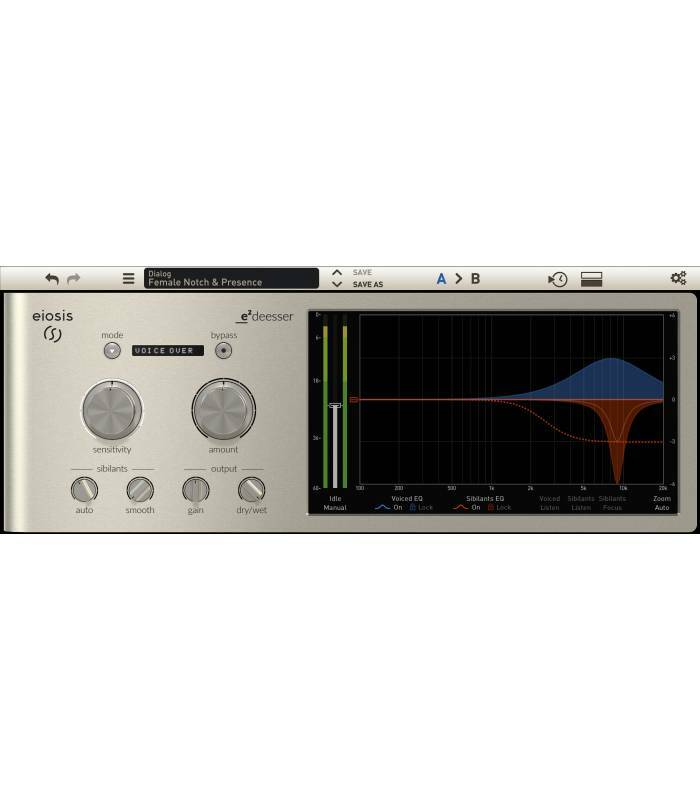 The more Auto, the more it will remove steep frequency peaks and whistles that usually result in unpleasant sounding resonances. Smooth brings a gentle and natural saturation in order to remove peakiness, high amplitudes, sizzle and cracklings from the sibilants, without harshness. 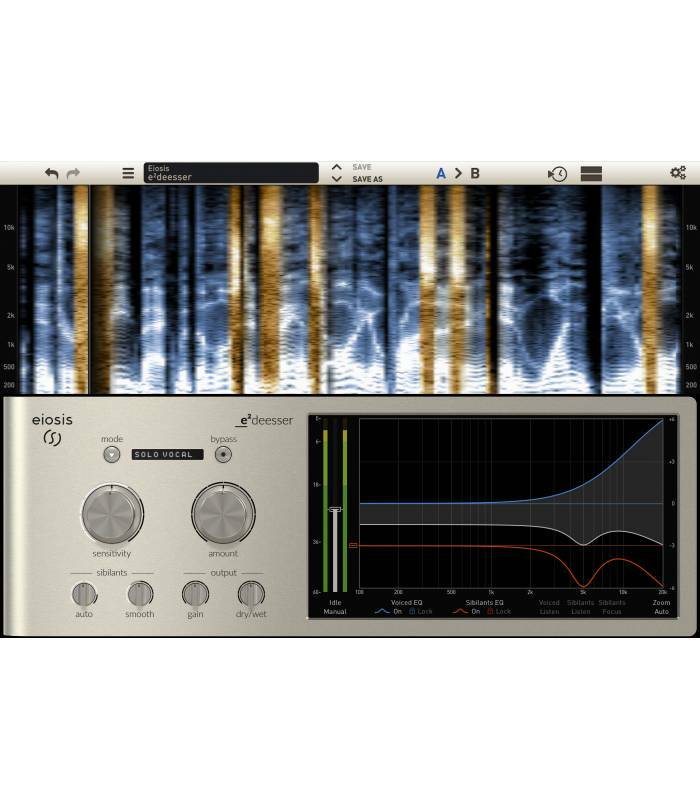 Using the Equalizer on the sibilants is like having wide-band, split band and band-pass processing capabilities, simultaneously, in an intuitive, easy-to-adjust, interface. 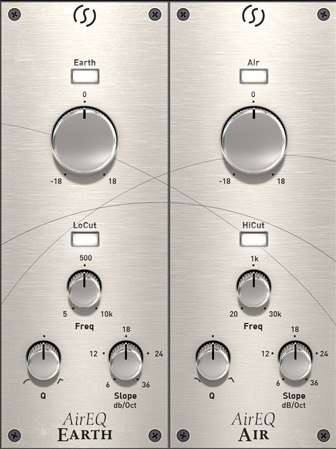 With the e2deesser, it is now very easy to locate the frequencies that need to be removed. It allows you to instantly see which frequency is to be reduced on fast-passing sibilants, visualize the changes applied by the process in real time while still keeping a few seconds of rollback under the eyes, and spot the key frequencies easily with the center frequencies of each filter being displayed on top of the analyzer. It finally becomes fun to track and fix sibilant issues ! Easily check what’s going on with the monitoring options : you can listen to the voiced signal only to check if no sibilants remain, which eases the tweaking of the sensitivity. Listen to the sibilants only to make sure you’re not catching unwanted things like breaths or noises, bypass the EQ sections on both sibilants and voiced signals.. It has never been easier to ensure that the de-essing process is perfect. Request a free 15 day Fully Functional Trial for E2Deesser!